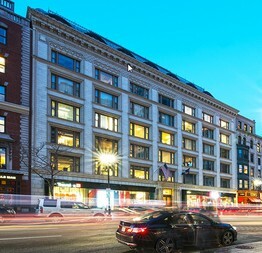 Boston Realty Advisors has been retained by Upland Capital to exclusively represent 745 Boston Street in Boston’s Back Bay. The building is a 112,000 square foot 8 story building with Verizon and Max Brenner as the retail tenants. 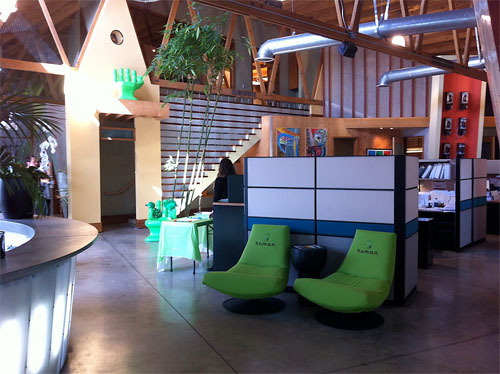 The building currently has just over 18,000 square feet available and can accommodate tenants from 1,700 – 12,000. Boston Realty Advisors represented Christopher Kimball’s Milk Street search for a new location in the Financial District. According to Wil Catlin, Managing Principal at Boston Realty Advisors, 177 Milk Street was the perfect fit for Chris’s new venture. The building known as the Grain Exchange was completed in 1892 and sits one South from the Custom House on the Greenway. The space occupied by Milk Street is on the retail level with direct access from India Street with expansive ceilings and windows. Client Testimonial Tenant Representation from Boston Realty Advisors on Vimeo. [Boston] startups [collected] $7.4 billion in funding this year — a 30 percent jump from 2014…[and] higher than any year since 2000, when dot-com mania pushed investment in Massachusetts startups above $10 billion, according to the financial data provider PitchBook. A single company in Cambridge, Moderna Therapeutics, announced a $450 million funding roundback in January — the biggest private funding infusion for a biotech startup ever. Tech tenants are driving office demand nationwide with Boston ranking number 7 falling just behind Seattle. To be classified as a tech talent market, there must be a labor pool of at least 50,000. 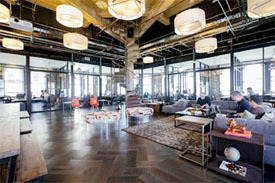 To view some of Boston’s coolest office designs, check out Forbes’ online gallery. Boston is No. 1 among our peers for innovation. Let us help bring your ideas to life. You can read the full article on the BBJ. Which office building in Boston stands the tallest, and how does yours rank? 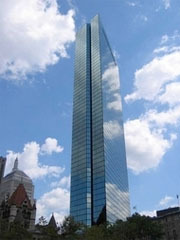 In Boston’s Back Bay, the John Hancock Towers reigns supreme. The Boston Business Journal has put together a list of the top 25 largest office buildings in Greater Boston, ranked by Total Rentable Building Area. Do you Uber when you are touring office space for lease in Boston? Well, yes. Will Uber be here tomorrow or with the Cab Union prevail? 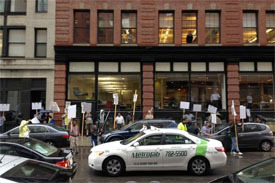 Follow the link to view the full BBJ article for details on the Cab Union Uber protests. 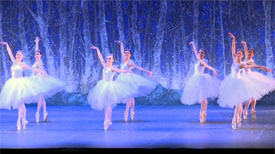 Call me old fashioned, but I love group gatherings and large-scale events, like the Boston Ballet’s The Nutcracker. I am always thankful that owners like the The Chiofaro Co. of International Place host festive, public events for all to come and appreciate. Additional coverage is available on the Boston Business Journal. 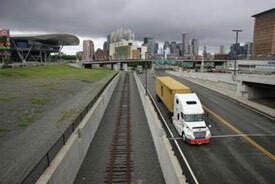 Boston is no longer comprised of 9 – 5 workers. Our city has evolved to a 24-hour workforce and our infrastructure and services need to play catchup. Great news for all those getting off work after midnight: starting in 2014, the MBTA will run late-night weekend train and bus service. the T will run all subway trains and the 15 most popular bus routes until 3 a.m. on Saturday and Sunday. Yes, the T is still cash-strapped, and the state budget remains tight, but Governor Deval Patrick has found about $20 million, along with pledges from corporate sponsors, to launch a one-year pilot program to begin in March or April. 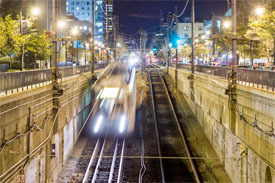 The full Globe article on the upcoming late-night MBTA sevice is available, here.